In my opinion the Mon Calamari Arc is the best. That was easily one of my least favourites. Scuba Clones and the electric jellyfish behemoths were cool, but the water environment made all the combat seem slow and un-dynamic. The combat is slow and un-dynamic but at least the interesting Story, Characters, Setting make up for that. Like how can you say no to a Humanoid Shark equipped with switchblades that explode. the interesting Story, Characters, Setting make up for that. The water world concept and Tamsin were certainly neat, but I'm not sure about the rest of it. As I mentioned, the underwater physics basically killed the arc for me. I thought that the Umbara arc was one of the best story arcs in TCW (although there were some other good ones, like the Fives arc, and the Savage Opress arc from Season 3 was okay as well). In regards to the Umbara arc, I really liked the sense of foreshadowing Episode III when Krell was explaining his motives for being evil while he was in captivity. Krell was really a jerk when he was in command, but at the same time, he was very bad-ace when he went on that clone killing-spree after he started being more evil. I've also always been a sucker for Clone Troopers, and considering that this arc was a very clone-heavy/centric arc, I found it to be quite enjoyable (particularily the character development of those such as Rex, Fives and Tup). Also, that scene when Waxer kicks the bucket. I'm also a sucker for clones in the sense that I really liked all of the different clone armor designs seen throughout (such as the individual 501st Troopers, AT-RT Drivers, Fives' ARC Trooper armor, and Rex's Hybrid armor). I do not know if anyone is interested, but there's a new clone wars arc from Celebration on starwars.com "The Bad Batch". Rambo confirmed for Star Wars. Surprised that David made these and posted them up in the star wars website. Welp, that's the third time these storyreels have been posted on this thread. Dave Filoni's shown himself to be very dedicated to the show's fanbase. I don't find it at all surprising that he decided to give us some fan service. (such as the individual 501st Troopers, AT-RT Drivers, Fives' ARC Trooper armor, and Rex's Hybrid armor). 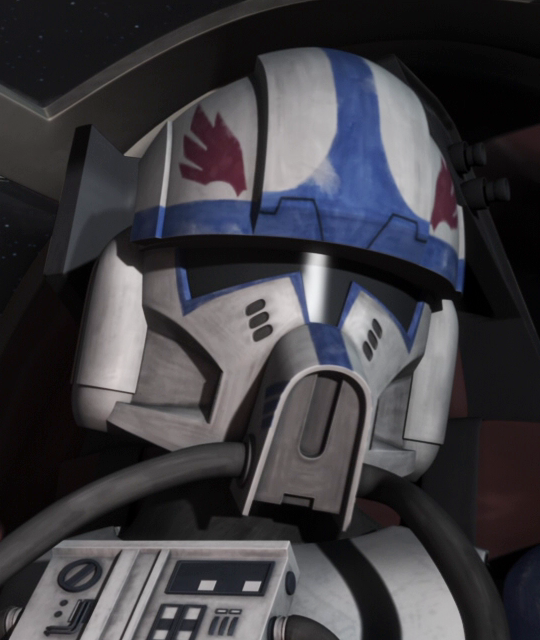 Fun fact: Clone pilots in Phase II open-helmet flight suits, as seen in ROTS, were scheduled to appear in TCW. I believe you could briefly see one or two in the Bad Batch animations. Yes, pointing these armour permutations is completely trivial and inconsequential, but that's just how I roll. I don't remember that happening all too often. Then again, there weren't a massive amount of large-scale battles featuring Droidekas. I was trying to say that once a droideka had shown up, it's become a small battle because they'd kill a lot of clones. Ah. Not sure if I completely agree with your logic. I remember Droidekas being deployed in a lot of small skirmishes, but not in any huge fights on immense battlefields (Malastare and Christophsis come to mind). Maybe that's because Destoryer Droids just aren't very good at marching. Correct me if I'm wrong, but I only saw "The Bad Batch" mentioned once. The first one only had the Utapau arc. When I saw your video it only had one full episode instead of the 8 mentioned. I did not see that they were in a playlist, so I thought I'd post them straight from the official site. I probably should have read better and rephrased my post. I honestly don't find it that big of a deal to mention being a repost since the actual links weren't posted in here, but thanks for pointing that out anyway. I honestly don't find it that big of a deal to mention being a repost since the actual links weren't posted in here, but thanks for pointing that out anyway. Nah, it's all good man. You're right, all the animatics haven't been technically posted here three times. My meek attempt at humour was evidently not well thought out. I dont care what anyone says, ending was just beautiful and was better than the prequels by a long shot. Which ending? Ahsoka's Season 5 arc? The Yoda Season 6 arc? The Dark Disciple Season 7 arc?